THS has completed the restoration of the Museum Roof at the 1902 Library building on Thompson. While the fundraising continues to build our cash reserves back up, after spending over $156,000 on the roof project, we can rest assured now that our valuable collections have a safe, dry museum facility. 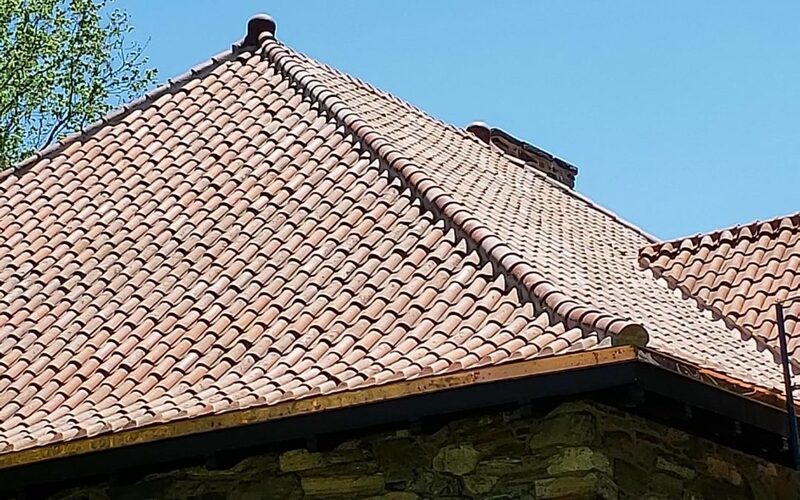 The previous clay tile roof lasted 117 years and we look for the new clay tile roof to survive as long. The natural clay tiles were a key design feature on this historic Arts & Crafts period Tudor style building. We are proud to say that we have now completed the major planned renovations on this architectural gem facing the Thompson Common. Our thanks to Joe Lindley and John Rice for leading the restoration project for the Society.